After marrying her husband in 1993 and the birth of her daughter, she moved to Sussex and took up evening classes in flower painting. Inspired by these classes and realising she had the potential to become a professional botanical artist, she went on to complete the diploma in botanical illustration at the English Gardening School, Chelsea Physic Garden (now the Chelsea School of Botanical Art). Leigh Ann then became a member of the Society of Floral Painters and was immediately invited to join the Hampton Court Palace Florilegium Society where, now as a Fellow, she has many paintings held in the Royal archives. A chance meeting with her evening class tutor led her to undertake a teacher training course and in 2008 she gained her Certificate in Education. 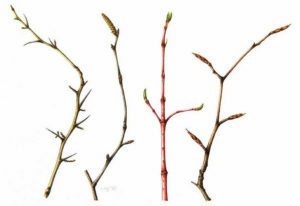 She now teaches botanical illustration throughout West Sussex and Surrey and mentors students on botanical illustration diploma and certificate courses. 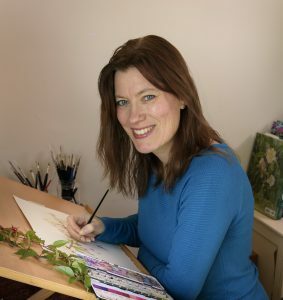 Over the years Leigh Ann has joined the Sydney Florilegium in Australia and the Nymans Florilegium in Sussex and has become a member of the American Society of Botanical Artists and the Association of Sussex Artists. She has exhibited her work extensively and has been awarded medals by the RHS and the Kirstenbosch National Botanical Garden in Cape Town, South Africa. 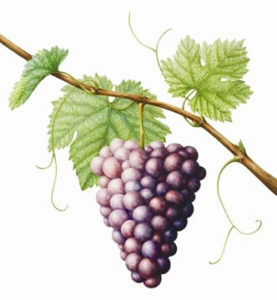 Her work is held in the permanent collection at the Hunt Institute for Botanical Documentation in Pittsburgh, USA and private collections throughout the world. Leigh Ann’s book ‘Botanical Illustration – the complete guide’ was published in June 2018. Leigh Ann also undertakes privately commissioned work.